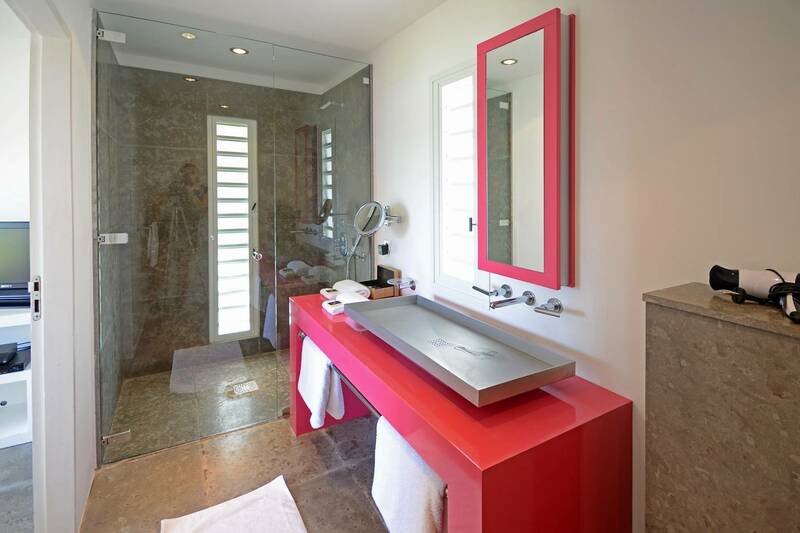 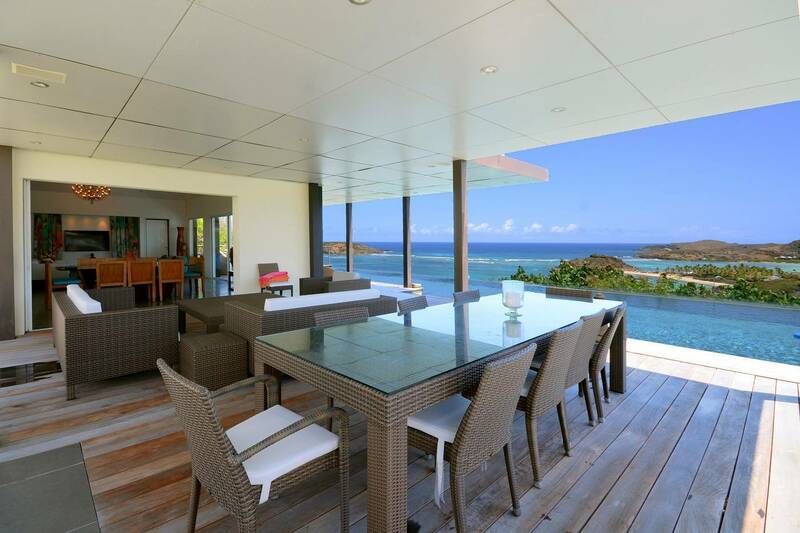 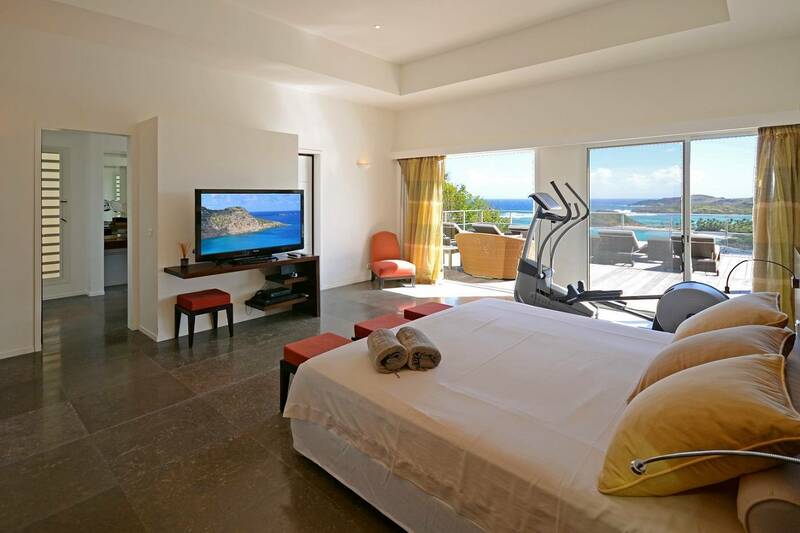 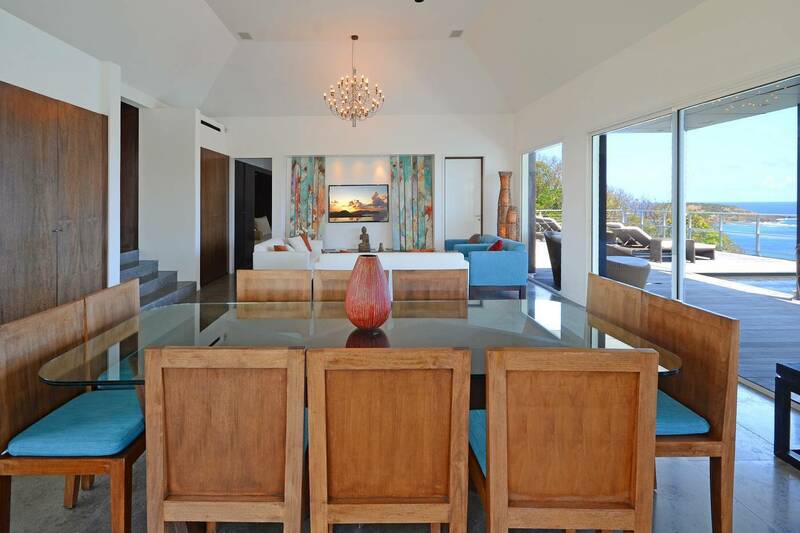 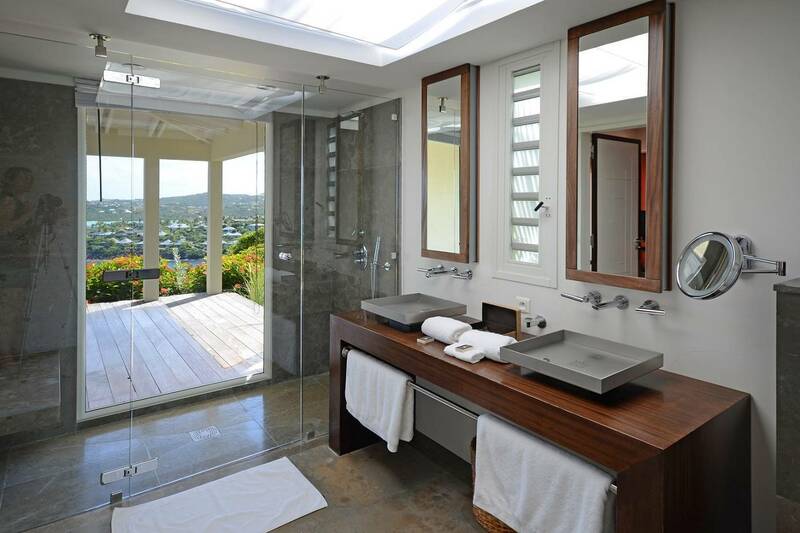 Dream About: Owning a luxurious villa in one of St. Barth’s most exclusive gated communities—Mont Jean. 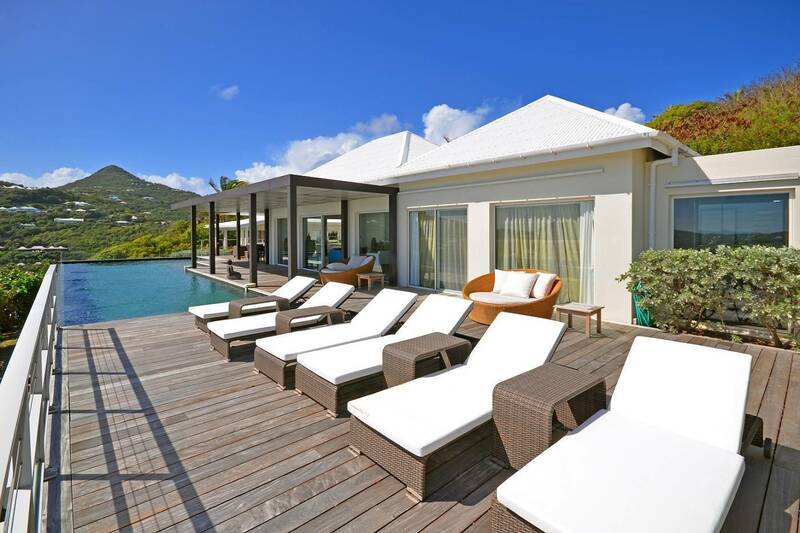 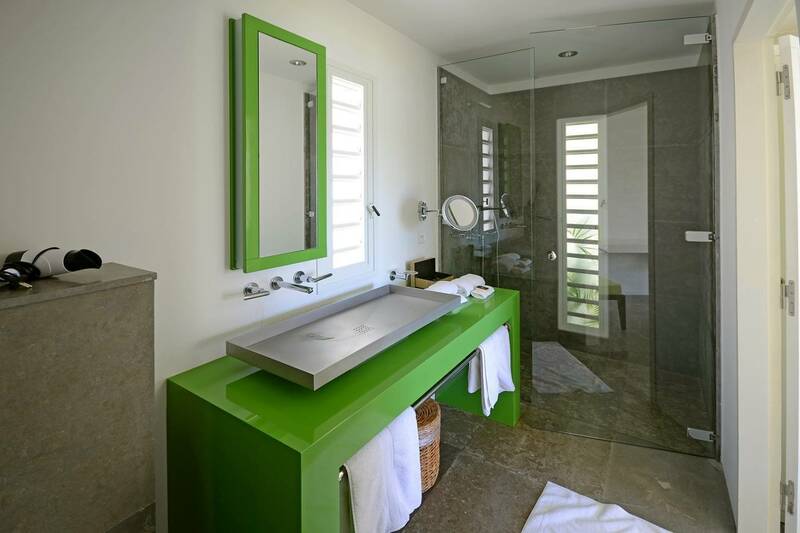 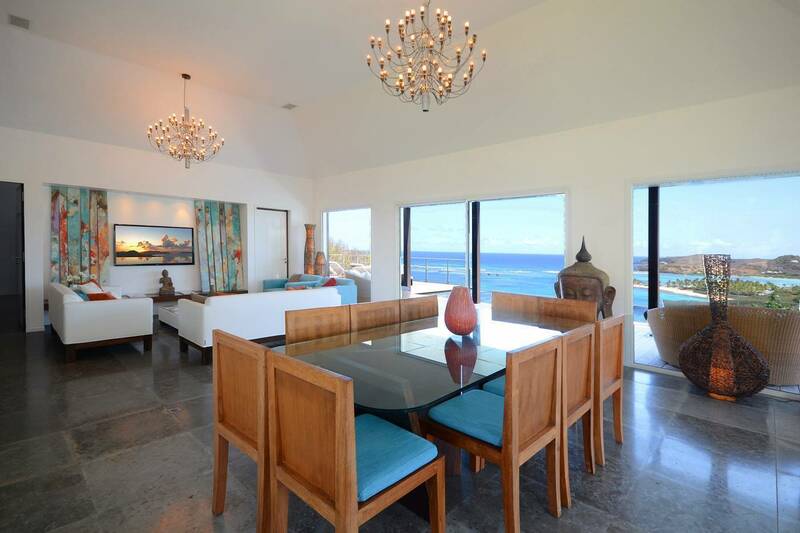 Located in the exclusive gated community of Mont Jean, the 5 bedroom Villa O My is an exceptional property boasting stunning views of Tortue Island and Marigot Bay. 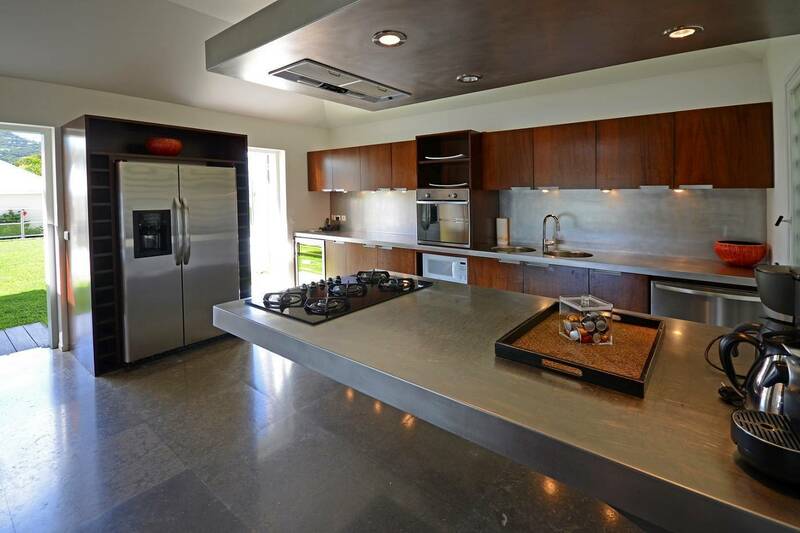 A sleek kitchen is located a few steps above a dining area which flows into a spacious, air-conditioned living room. 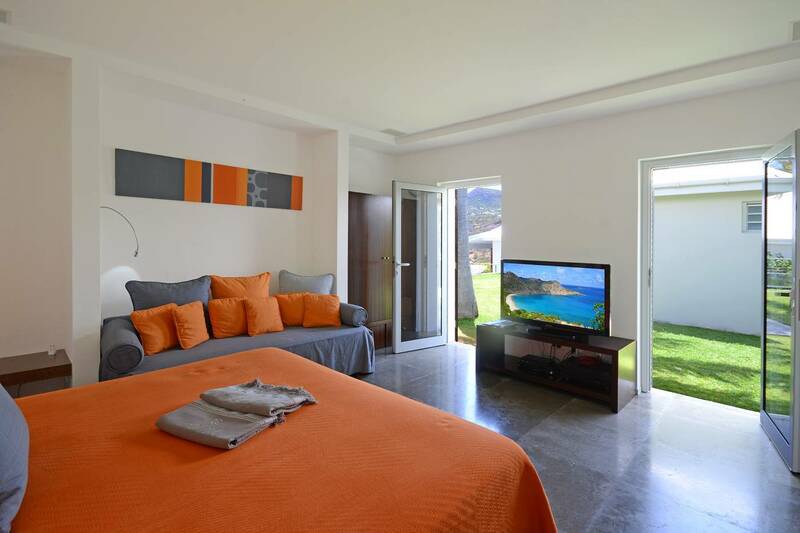 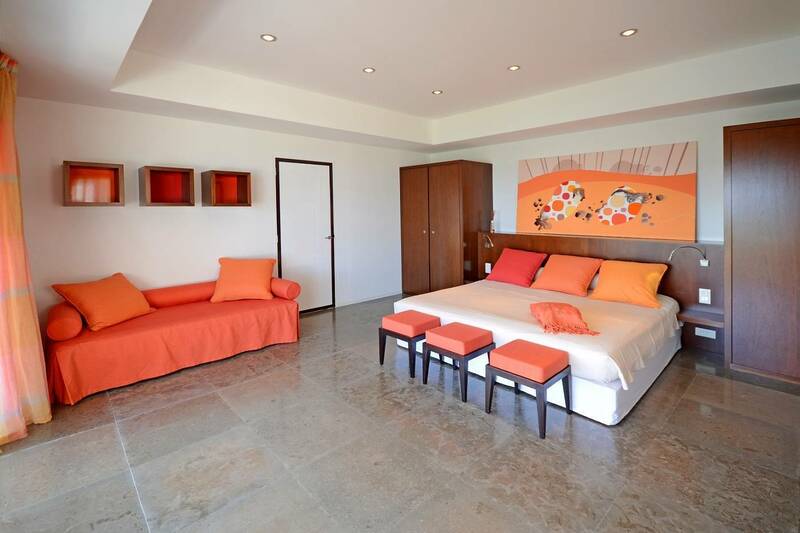 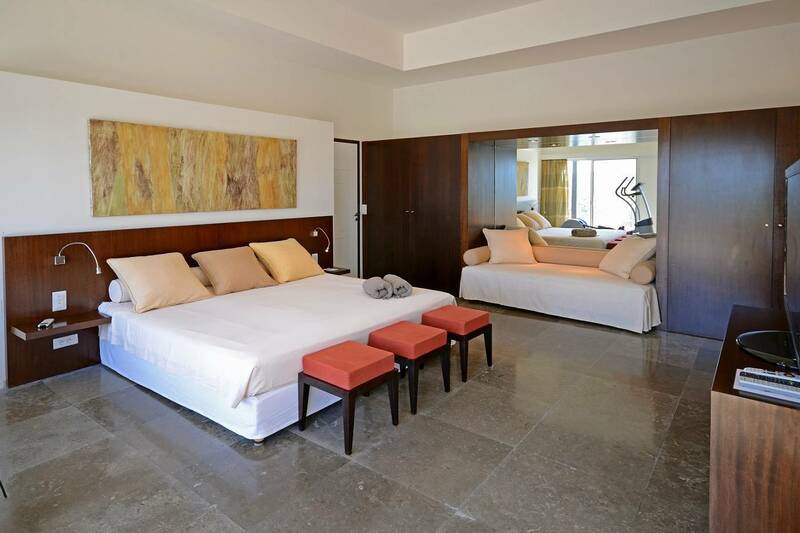 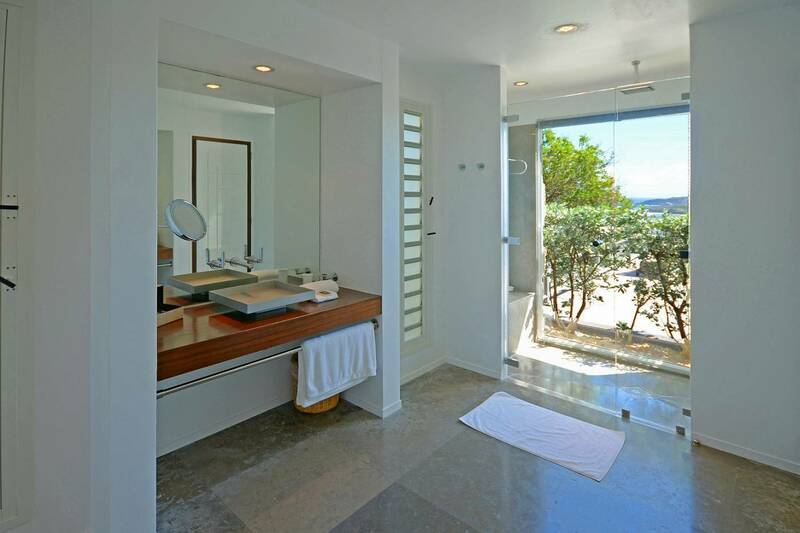 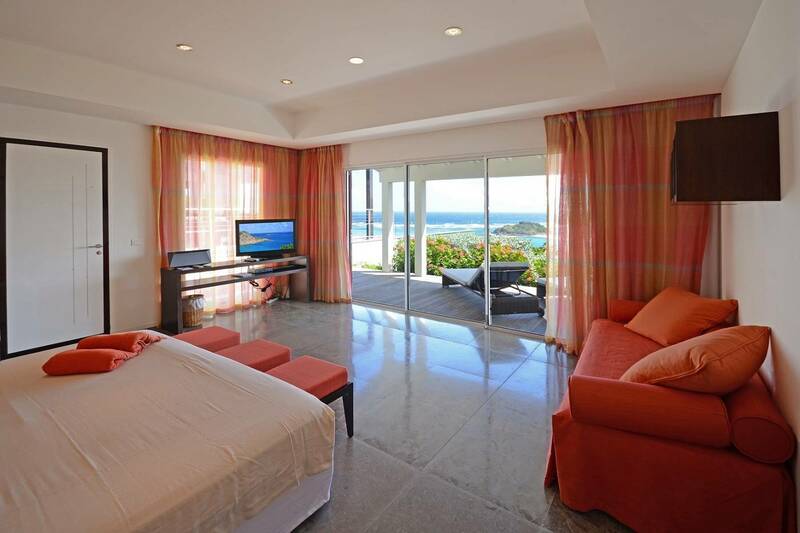 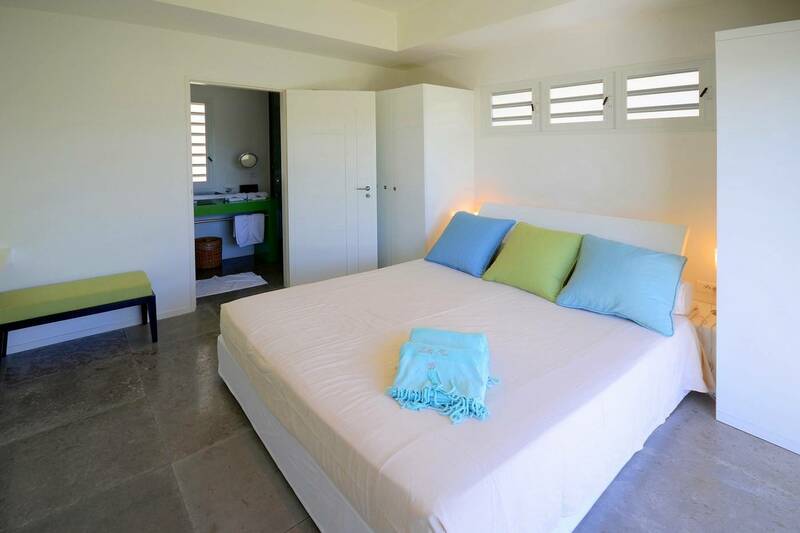 Five en suite bedrooms include two spacious master suites with sea views. 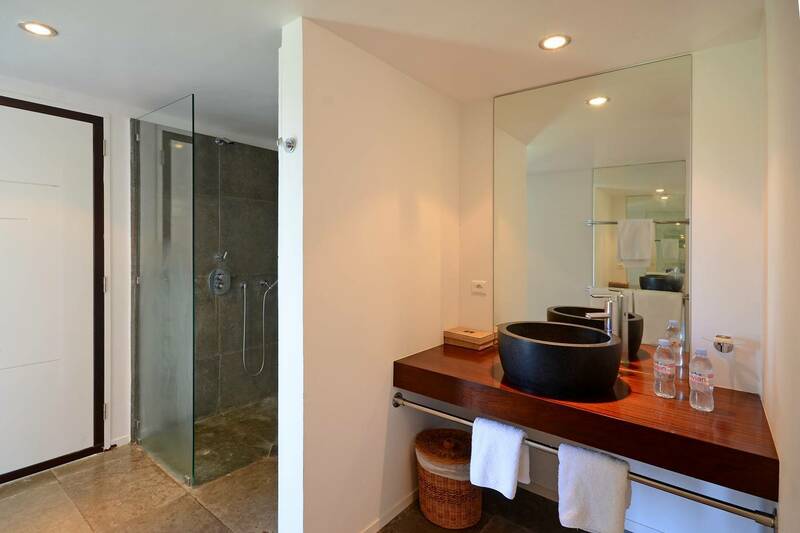 One is off the living area; the other is in a separate pavilion. 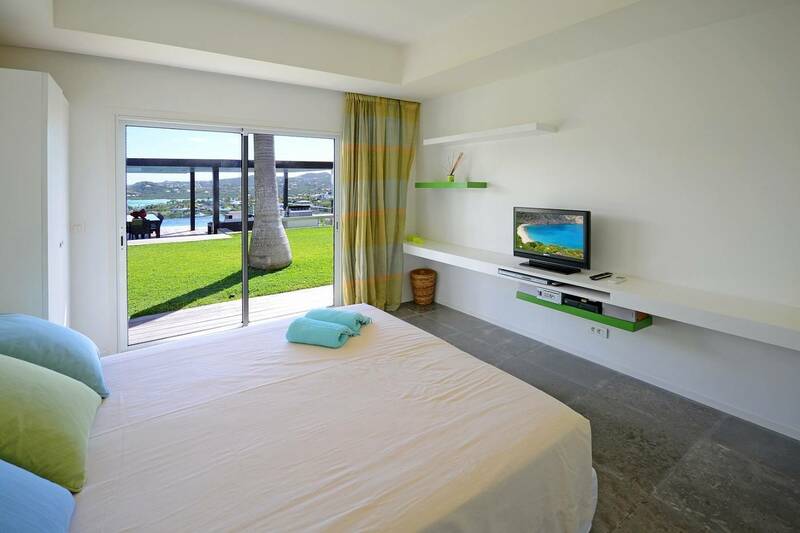 Two additional bedrooms with views of the sea are behind the villa’s courtyard. 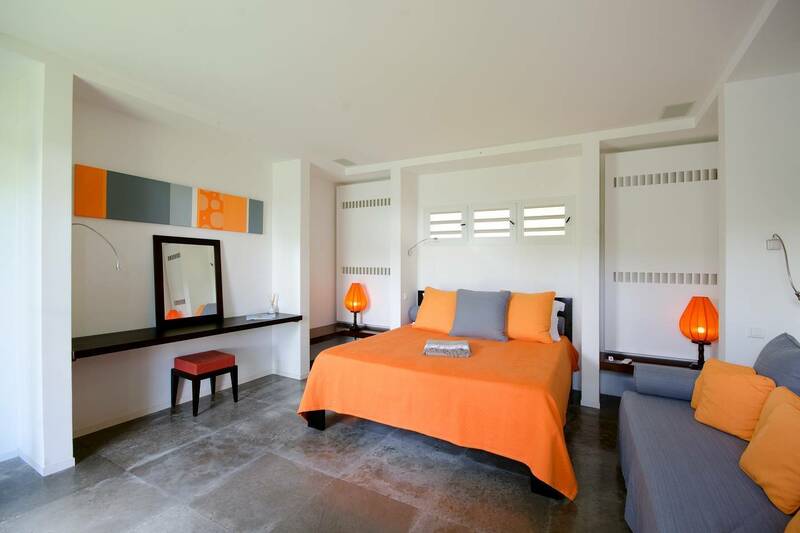 The 5th en suite bedroom, located at the rear of the main building, has a garden view. 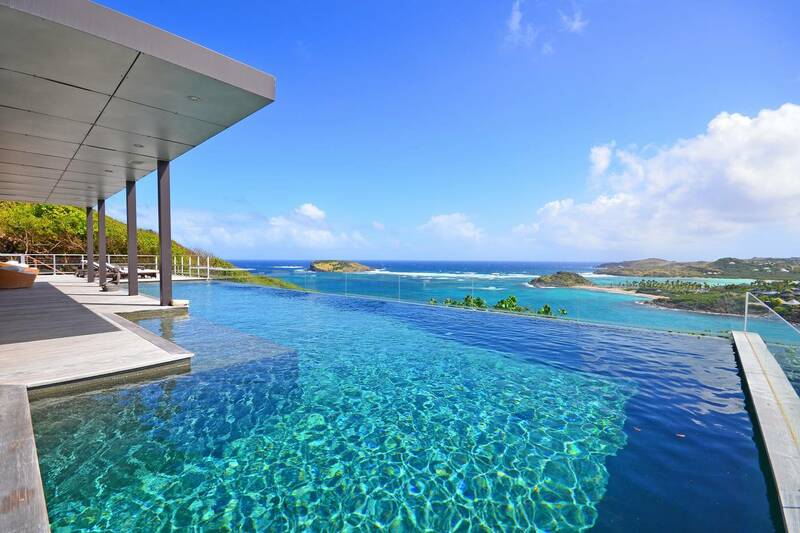 A spectacular heated infinity pool—it appears to merge with the sea—is the focal point of the expansive outdoor living space featuring a BBQ and a covered dining area. 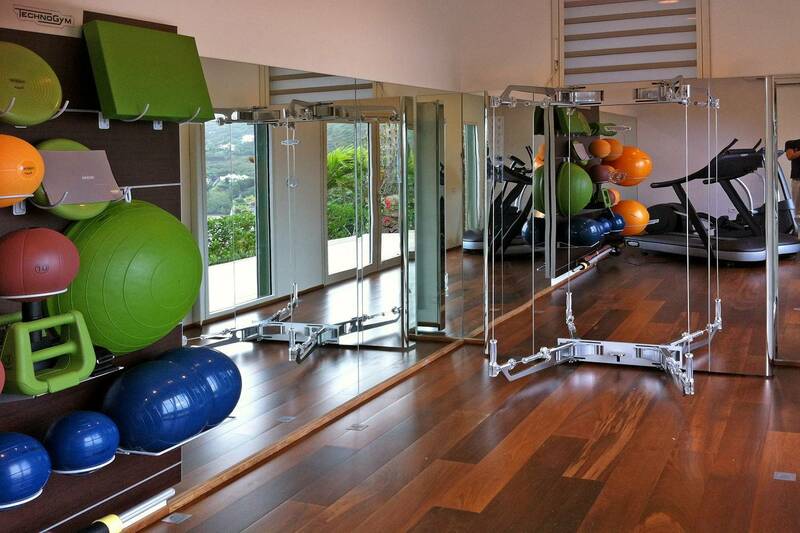 An air-conditioned fitness room has a striking view. 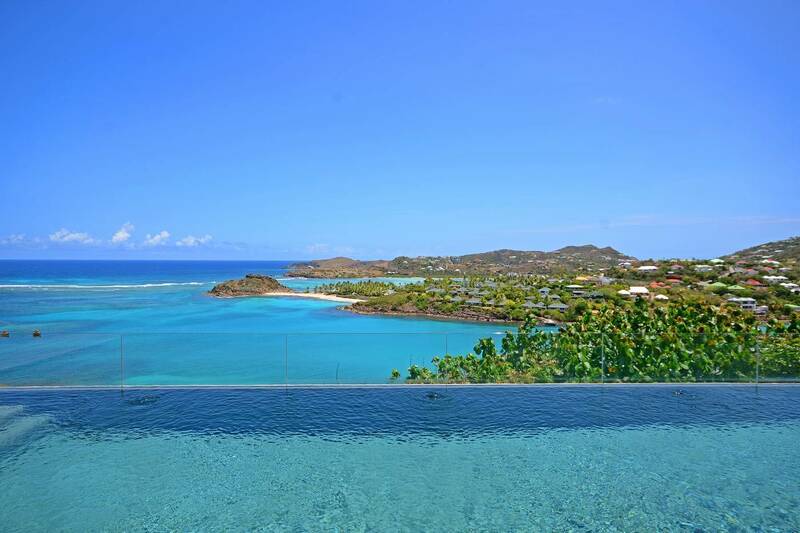 The huge heated infinity pool that “merges” with the sea. 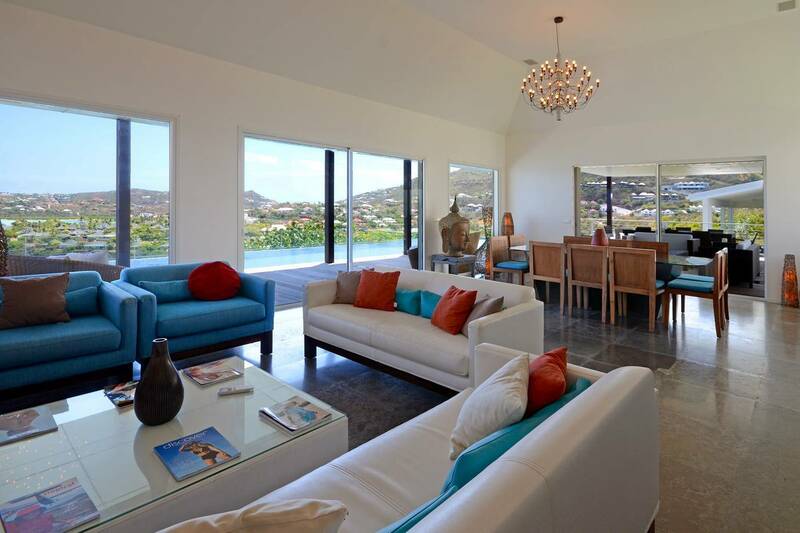 Contemporary-styled villa with stunning views; 5 en suite bedrooms, expansive outdoor living and dining space, and a fitness room.